Happy Loi Krathong!!! Once again it’s that time of the year when entire Thailand turns into a magical spectacle, almost like a scene from a fairytale. The pleasantly cool November nights and the warmth of the glittering Karthongs is perfect setting to melt the hardest heart and bring a smile on the saddest face. 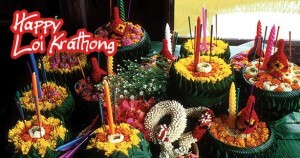 Loi Krathong occurs on the full moon of the 12th month of traditional Thai lunar calendar, which is usually around November in the Georgian calendar. It is said that the festival started in Sukhothai, Bangkok around 800 years ago. It’s believed the lotus shaped karthongs that people float away in water is like a small boat that will carry away your bad luck into the distance, and allow good luck to entre in your life. At JTTJ we wish that all our lives are filled with good luck, happiness and prosperity. Enjoy Loi Krathong with your family this year with Khao Kheow Open Zoo and its natural treasure. 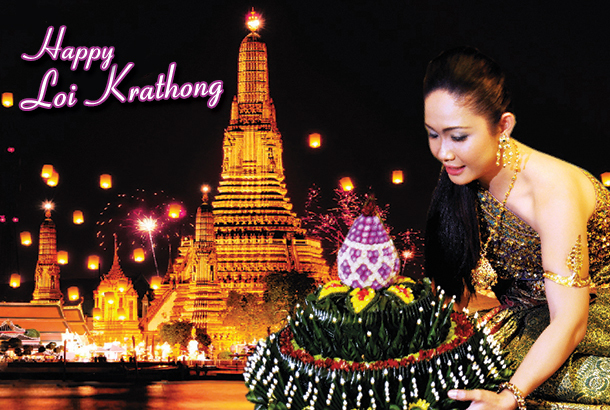 Happy Loi Krathong! !